The city was the lone holdout on an intergovernmental agreement between the city, West Linn and Lake Oswego. The Tualatin City Council has approved going ahead with plans to sign a three-city intergovernmental agreement regarding the future of the Stafford area. 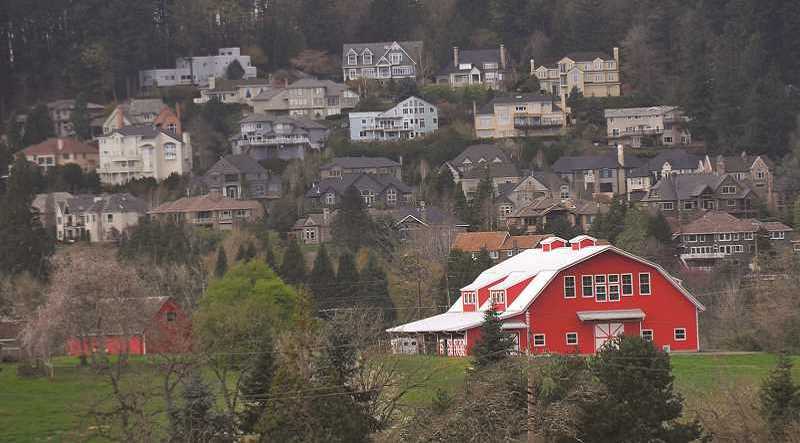 On Monday, the council voted 5-2 to enter into an agreement with the cities of West Linn and Lake Oswego to continue with concept planning in that area. Last month, the council voted 3-3 not to proceed with signing off on the governmental agreement, allowing the measure to fail. However, the composition of the council has changed since then with Frank Bubenik now serving as mayor and two new councilors, Bridget Brooks and Maria Reyes, sworn in earlier this month. Leading the previous opposition to signing the IGA had been former-Mayor Lou Ogden who listed a variety of concerns, not the least being a belief that no city could conduct preliminary planning, address transportation needs or determine who might have future jurisdiction in the varying parts of Stafford. Specifically, Ogden objected to what he said was a prohibition from completing planning north of the Tualatin River for 10 years. While former Lake Oswego City Councilor Jeff Gudman testified to support passage of the IGA at Monday's meeting, four other speakers opposed the measure including a representative from the Home Builders Association of Metropolitan Portland. Several opponents had asked for a 90-day extension to consider the proposal, something they said was being pushed by Clackamas County Chairman Jim Bernard. Councilor Paul Morrison, who along with Councilor Reyes voted against the measure, said he was in favor of waiting another 90 days. Reyes said she wasn't in favor of delaying the vote in part because she was hearing to better get up to speed after learning of the IGA plan last month. However, Mayor Bubenik took exception with a suggestion of an 11th-hour extension by Clackamas County. A clearly irritated Bubenik said discussion of the three-party agreement has been going on from months and he heard from Chairman Bernard with the extension proposal on Friday. "That's unacceptable," he said. "Clackamas County hasn't done anything (in Stafford) in years. They let this sit." Bubenik said signing the IGA doesn't prevent the city from discussing future areas of interest, it just prohibits seeking formal urban growth boundary expansion. The next likely step is allowing the county to conduct a traffic infrastructure study using $170,000 worth of earmarked funds. Lake Oswego and West Linn city councils have aleady approved a Stafford IGA.